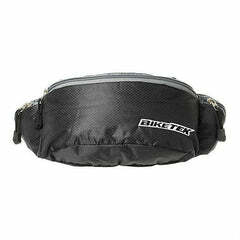 Click here to be notified by email when BikeTek Back Pack & Helmet Carrier becomes available. Sensibly proportioned backpack, with padded shoulder straps, and adjustable waist belt, perfectly suited to use when riding your motorcycle. 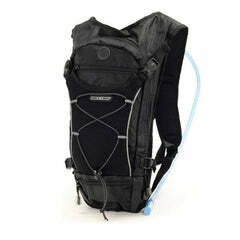 Main central compartment with two side pockets offer optimum storage capabilities. 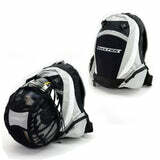 Features a uniquely designed inbuilt helmet 'cradle' enabling your helmet to be stored in rucksack securely when not riding, or to carry a pillion passenger helmet.